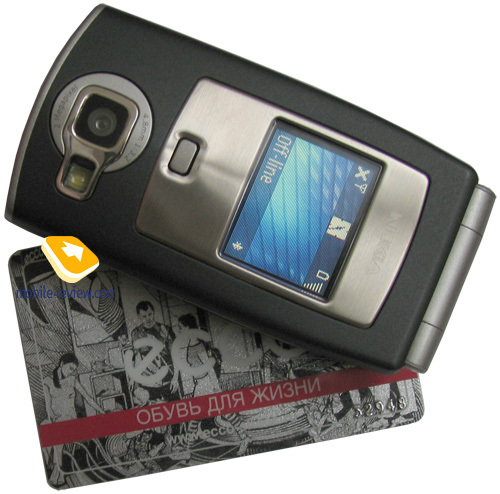 The company of Nokia was the first to introduce a clamshell Symbian smartphone. 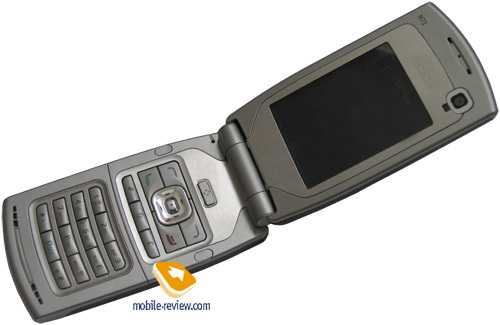 As a result Nokia 6260 greatly distinguished from the majority in its firm-factor due to irrationally big size and weight, which even crossed the very presence of Symbian and flexible capabilities of the operating system. Also you couldn't use the clamshell in a customary manner as it lacked external screen. And as a result the phone was not as popular in a technically advanced medium, as it was among glamour girls (at the beginning of sales), and after that among students and mid-level managers (after the start price reduced). That was not mass spread which added charm, no, the phone as either loved, or not. And then the Symbian line of clamshells represents developing two different product lines. On the one hand, they are fashion solutions with this or that functionality introduced for the first time, also they are endowed with unusual design and bring innovations. Nokia N90 is a good example, this phone grew of targeting at fashion audience, which likes showing off with their phones, and technically it also attracted with functional component. On the other hand, Nokia plans to keep on and release phones with classical design and typical functionality (a few innovations, which are actually unnecessary here). These clamshells can be considered some kind of replicas of usual candy bars of corresponding classes. And here I'd note that a replica doesn't mean direct move of the platform in another body, that is more positioning of the phone and some changes that happened since the release of a corresponding candy bar model. Changes may mean the renewal of the operating system, integration of other screens, some insignificant variations in selected peripheral devices, preset programs. 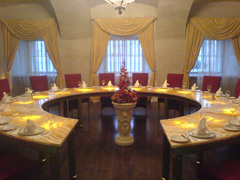 The appearance of such clamshells is practically well-taken, as it widens the products line and provides choice to users, who love this form-factor. 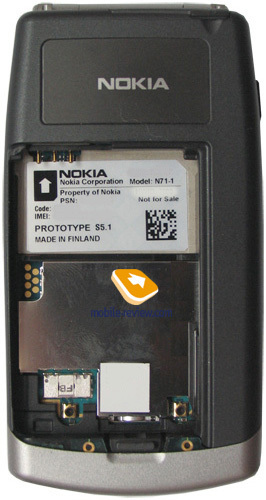 When speaking about Nokia N71, we can surely call the Nokia N70 its prototype. And a clamshell is a slightly improved version of this phone (and again, you should overlook technical details, consider the question from positioning point of view). 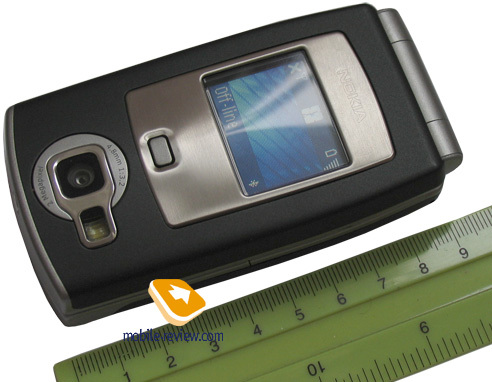 The size of Nokia N71 is 98.6x51.2x23 mm, which is a typical size of a Symbian device, but not the size of an average clamshell. Considering its work in UMTS, we can say the size is quite well-taken. 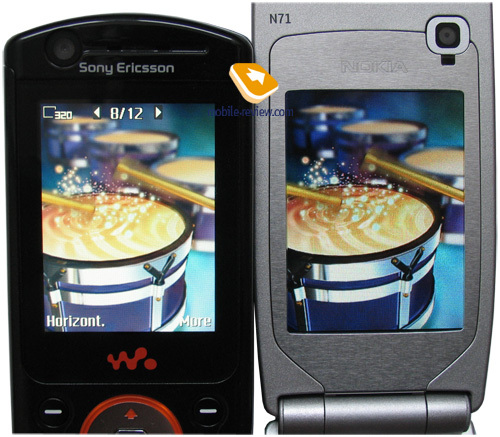 For you to compare, the feelings of this phone and Sony Ericsson W900i in hands and clothes pockets are quite similar. Considering the size, we can only say that women the target group and probably will form about 5-10 percents of customers. They estimate the appearance quite interestingly - "so light, but at that such bulky!" 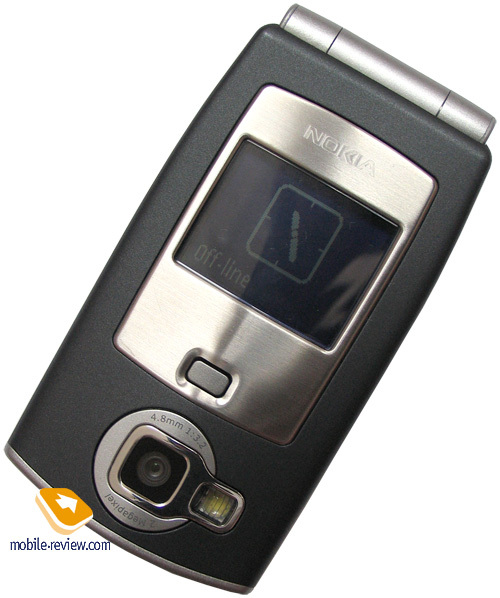 To be faithful, women in focus groups called Motorola V3x bulky as well (they probably, considered the width of the phone). 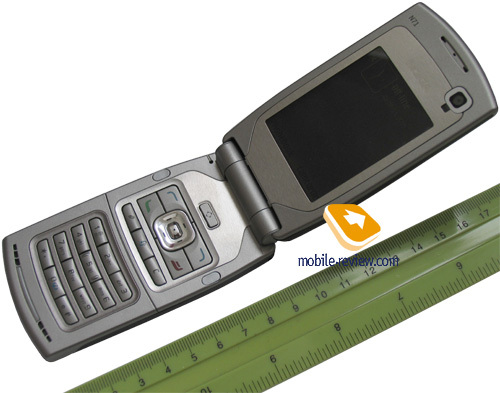 Nokia N71 weighs 139 grams, which is not little for a phone; however a visual impression tells it should be even heavier. 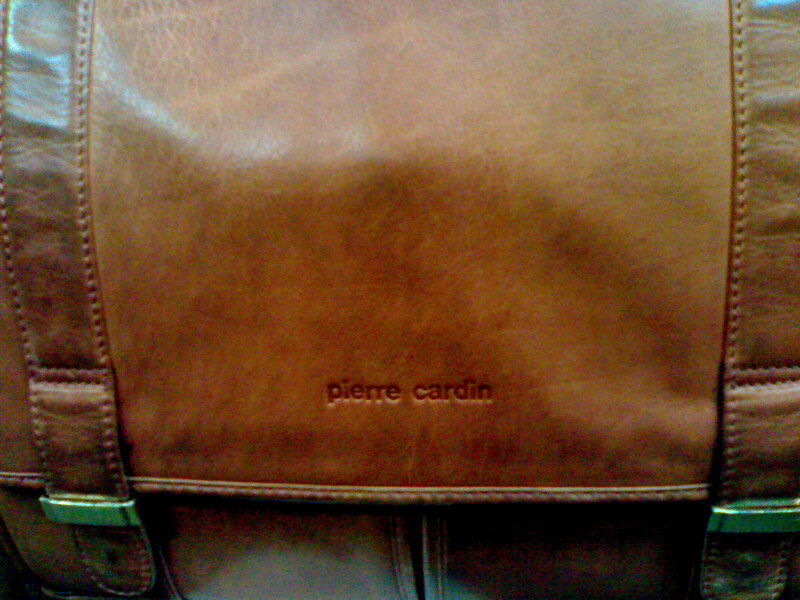 Its brown body, few details panted in silvery, which make an impression of massiveness, is perhaps the reason. And it is even stronger due to a metallic insertion around the external screen and a projecting silvery hinge on the top. A camera module and a light diode flash are on the face panel. 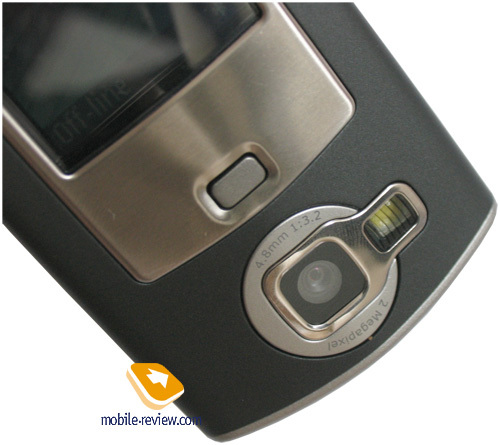 The camera is CMOS 2MP, which is very close to the one integrated into the N70, no autofocus. No external buttons are provided, so you can activate the camera only from the menu. 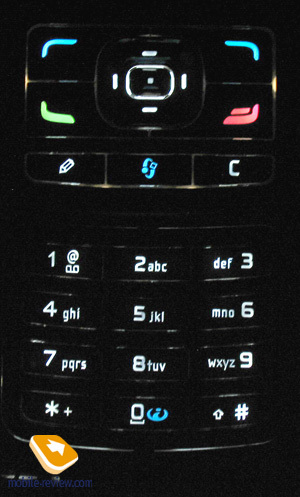 In fact, there are only three external buttons - the top on/off button (it is also responsible for changing profiles), one button under the screen, which allows viewing system messages, call log without opening the phone and finally a left-sided Push To Talk button (volume control by side buttons is not foreseen). 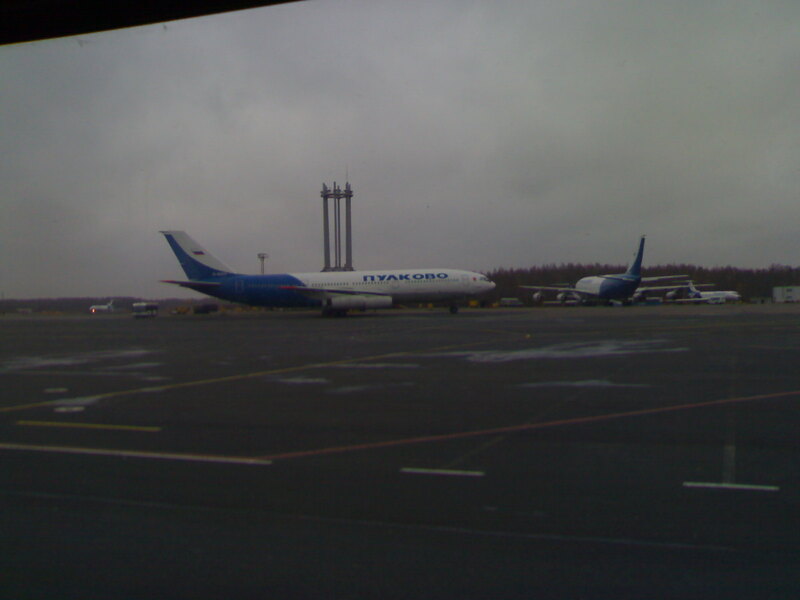 A faded external screen is STN 65K, it is quite large, and however the picture looks very carelessly due to enlarged grain size. Still you can read texts in the sun due to big font-size. We cannot call the screen good, which is quite a middling solution (on the other hand, only several manufacturers integrate qualitative external screens). 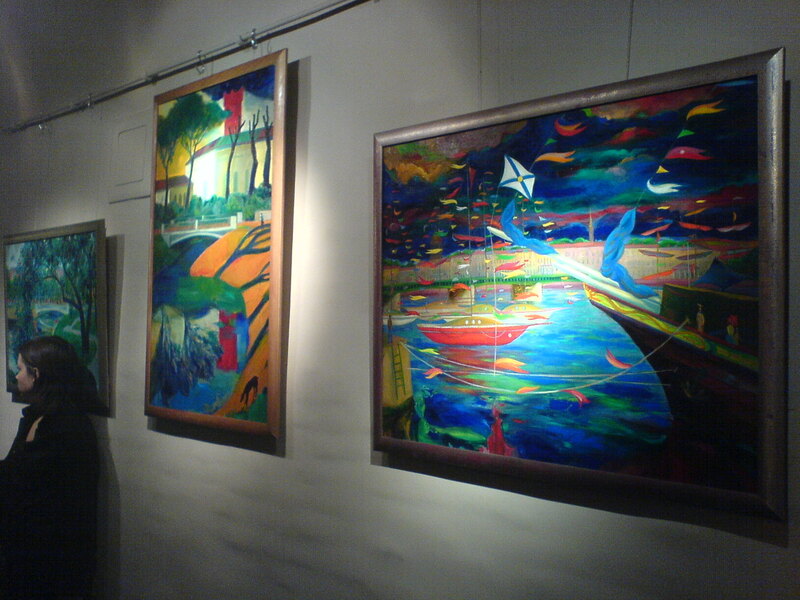 The resolution is 96x68 pixels (diagonal forms 1.36"). A standard interface Pop Port connector is on the top, not the bottom end. An Audio Adapter is included into the kit, which is an adapter with a standard slot for 3.5 mm, which allows using any type of headsets you like. And previously, all serious complaints concerned incompatibility to use usual earphones instead of the company's ones. 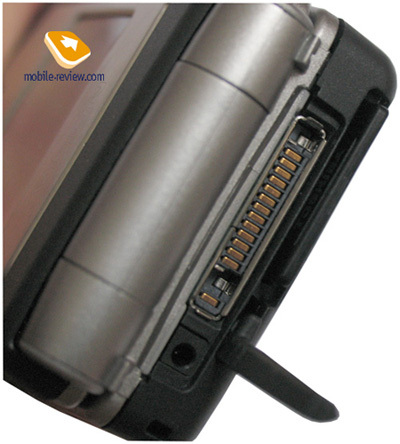 A small folding latch is near the interface connector, and a miniSD memory slot hides under it (the phone size allows using this card type but not microSD). And a 128 MB card is included into the kit; it contains trial versions of some programs. 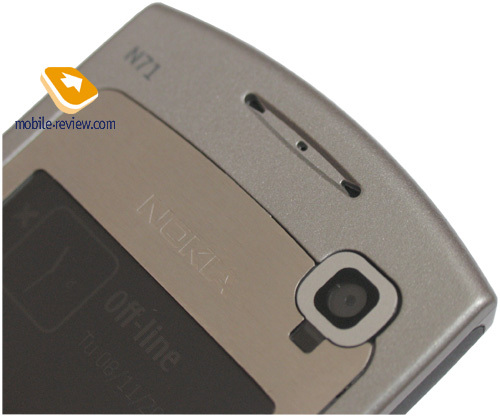 The company of Nokia may release the N71 equipped with less capacious cards for some markets. 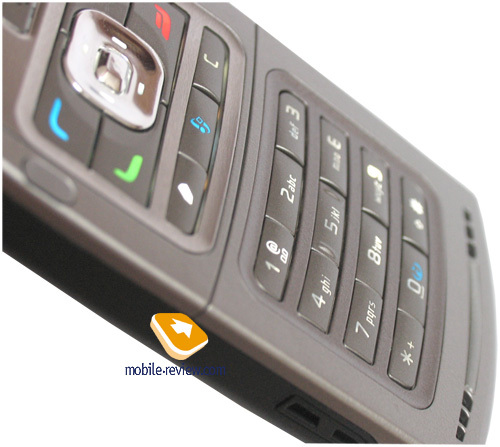 You can open the phone with one hand, however not everybody will like the task (it all depends on the palm size). The fold spring is not very tough, however not loosened, which adds some solidity to the opening process. Your feeling of this device both tactile and during use ones rouse parallels with cars (actually I dislike such comparison, but here it is well-taken). The phone is massive and solid, which will attract people who adore Mercedes-Benz (driving these cars resembles using Nokia N71). 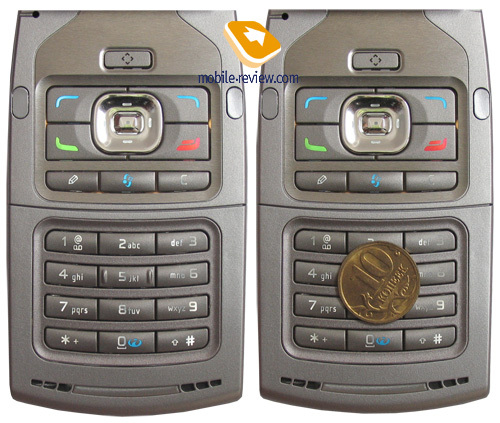 The internal screen is rounded with a metallic insertion as well, and functional keys are designed the same way on the bottom side. A VGA camera is placed under the screen, it serves for video conferencing, however you can takes photos with it (though they will mainly be useful for contacts). 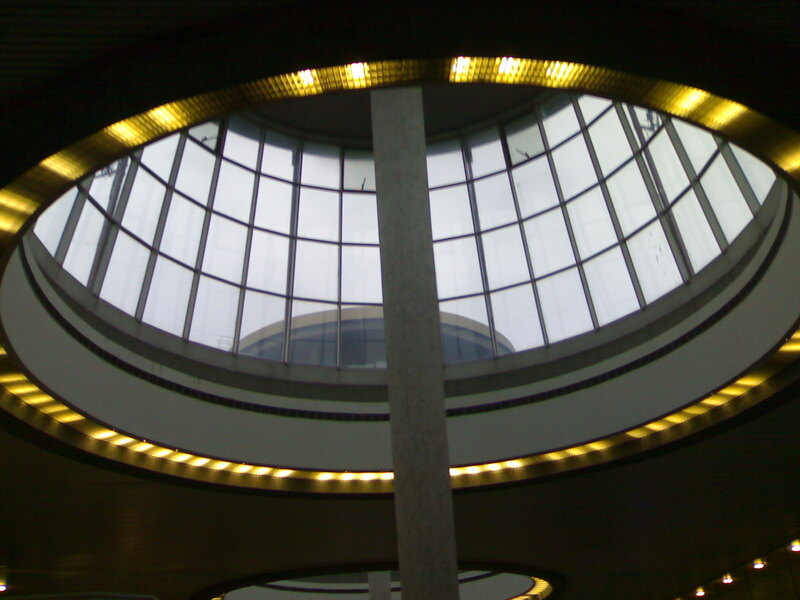 A light indicator, which activates backlighting in the dark, is under the camera. 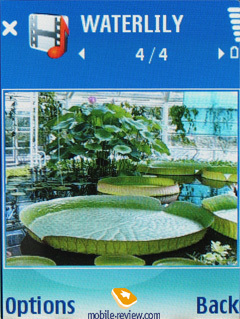 A QVGA screen means 240x320 pixels resolution (2.4"). The matrix is TFT and shows up to 262 K colours. You can't estimate the screen capabilities only due to an interface (as blue prevails and icons are monotonous). 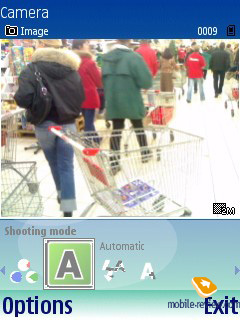 The images are more colourful than in Sony Ericsson W900i, however still are on the average level (you can see comparison of this screen with other QVGA models in the review of this model). 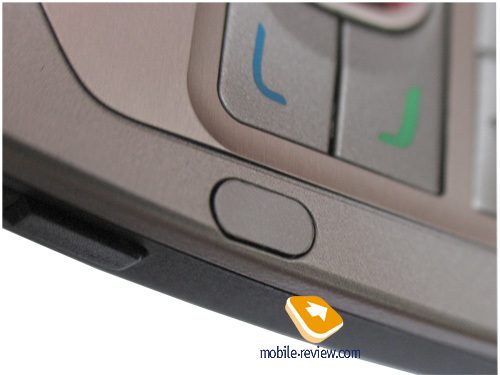 The maker could have integrated a screen with higher resolution on Nokia N71, but refused from this idea in order not to lead the device on the higher level both in price and functionality. In general it is not bad, and will rouse no complaints among usual users. 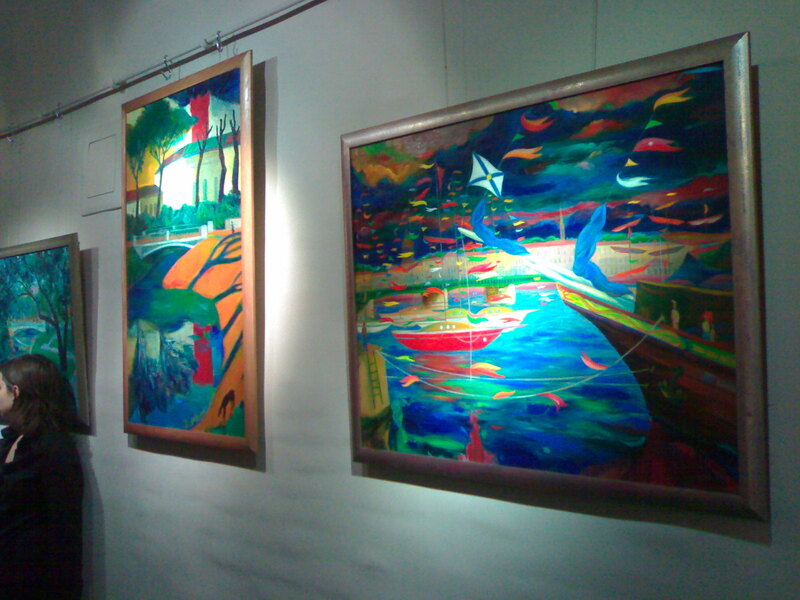 The picture is readable in the sun and seen in various angles. 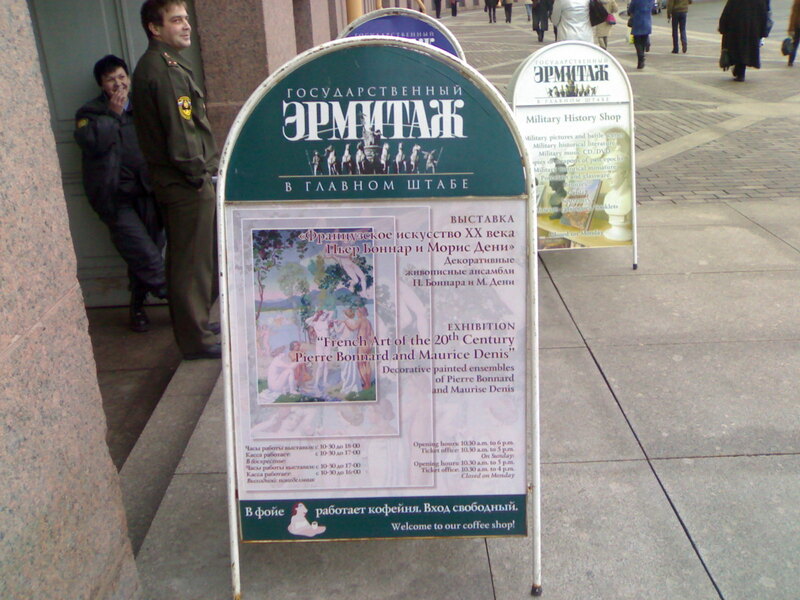 The display is capable of showing up to 9 text lines and a couple of service lines (it depends on the application, however the total number of lines will not exceed 12). Silicone insertions are placed on the bottom end of the body (rectangles in two sides), they prevent the screen from touching the keypad. 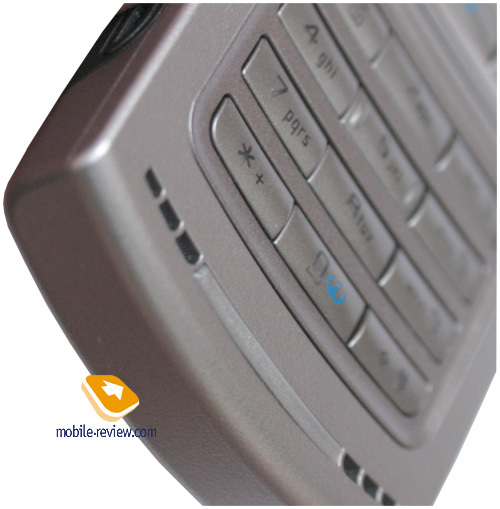 A Multimedia Key is centered above the main key block; this button calls an mp3 player, radio or other functions. 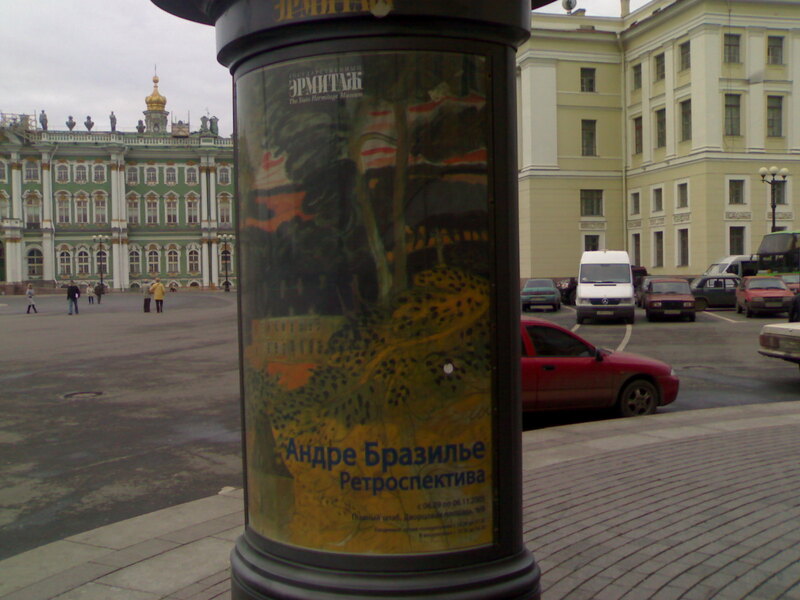 Pressing the button, you see a menu with 4 directions, and deviations of the navi button call a corresponding item. You can adjust the functions that are assigned to each direction. Such a solution like Multimedia Key should be integrated in many products, as growing functionality at fixed number of keys makes fast call of some applications rather hard. At the same time, this realization is not really well-taken as it is the plainest solution. The growing number of buttons leads to such a problem, when a user stops orientating in them, and only then a notion that their number should be reduced comes (that is an eternal game in compromising between new functions and keeping old ones). 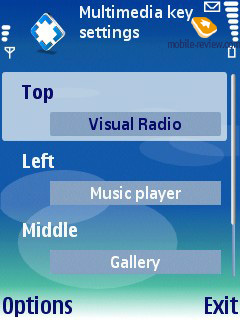 Extended Menu can serve an alternative to Multimedia Key; Samsung's models prepared to release have it. The navi button traditionally means adjustable tags for any direction. The second level of tags is realized in addition. It is activated by pressing any button and looks like a bar on the bottom of the screen, that is you should only press, for instance, #, to have it appeared (it is also adjustable). And only then call a necessary menu item by pressing the navi button. Later it is planned to realize the following - you enter a number and make a corresponding deviation, and that will bring certain results. For instance, by entering a date in a number format and using right deviation (which calls the organizer), you pass to a corresponding week-day. That is a conformable solution, which requires no extra buttons; it only utilizes the present key-set. And the same capabilities are easy to realize in Symbian smartphones - that is much easier (maybe, our readers will create such a program? My idea is a present). A block of functional keys is separated from the number keypad. The buttons are large and comfortable, at the same time the navi button is of average size and you will have to get used to it. A small Ok button is not comfortable in use sometimes. And numbers keys placed in rows are also small. Text input is quite comfortable; however larger buttons could have been integrated. Buttons are highlighted in white; the backlighting is well seen in various conditions. The gaps of two loudspeakers are under the keypad. They are to give stereo sound, but that is truly only a marketing measure, they make no sense actually (however this solution will later bring interesting models with two and three loudspeakers). The battery is integrated into the back side, the battery itself is placed into the grooves on the back, and this solution was applied in some models by the company already. With time the battery fastening will loosen and small clearance will appear. However that is not a backlash, the battery is fixed reliably and no problems appear. The Li-Ion battery is 970 mAh, and according to the manufacturer, it is capable of 4 hours is talk and up to 210 hours of standby time. 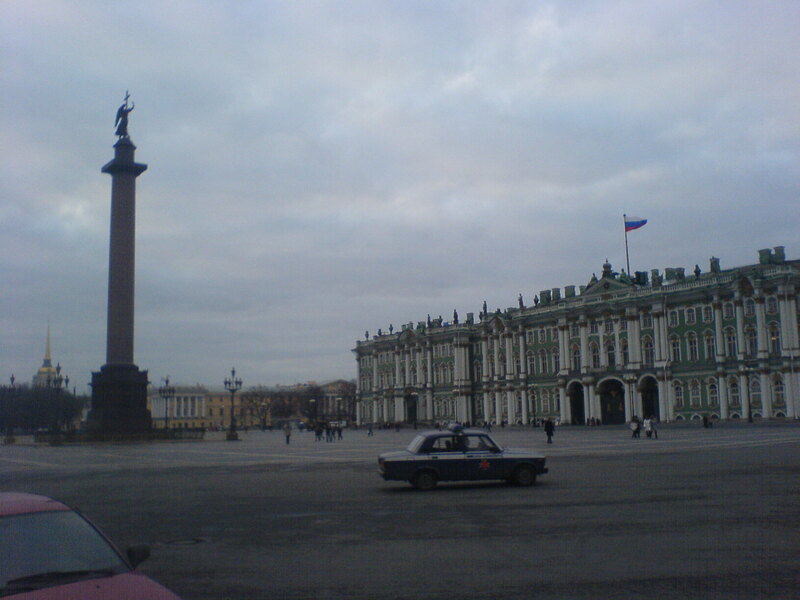 In Moscow the phone averagely worked for about 2 days in case of only 40 minutes of talks and about an hour of other functions. It is unlikely to work longer. 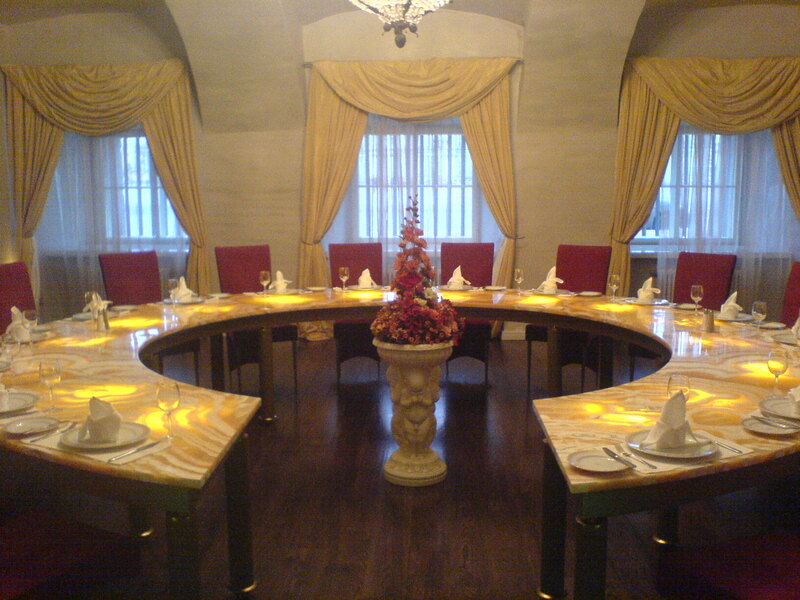 Ones talking much and using extra functions constantly will have it lasting only for a day. There is nothing surprising actually; this is typical of its class. Full recharging takes about 2 hours. 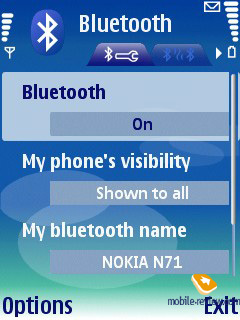 Nokia N71 is run by Symbian 9.1 (platform 60 Edition 3), which means using a new run-time core EKA2. That allows making applications, which are crucial to run time, for instance, network VoIP applications. Hardware manufacturers now can refuse multiprocessor configurations and use only one chip (which leads to lower price for smartphones) due to EKA2. We will not describe all software peculiarities and changes in comparison with the previous versions - you can read about them is a review of S60 3d Edition published earlier. The phone features only 10 MB of memory, which is extremely little for today. The fact a 128MB card is included into the kit really eases life; however the majority will change the standard card for a more capacious one. The device provides approximately the same operating speed irrelative of where your data is kept - on a card or in the phone memory. The camera menu was redeveloped, and now a just taken photo appears as a thumbnail on the screen (the viewfinder keeps on working), and short data about the photo is nearby, which is comfortable. 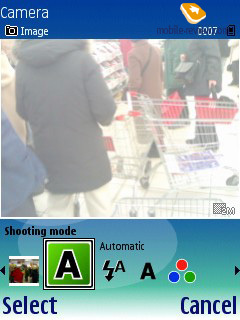 While shooting, this place is taken by data about the current shooting mode, and you can change all settings in one touch. 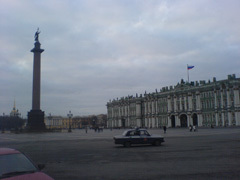 The number of settings is close to the N70, the camera quality is equal, and they lack little to reach the level of the K750 by Sony Ericsson in some modes like macro. Scene sets the shooting scene, automatic mode is set by default, which works rather well, you won't need to correct it manually. However a selection is provided for those who consider themselves experienced photographers - Portrait, Landscape, User Defined, Sport, Night. 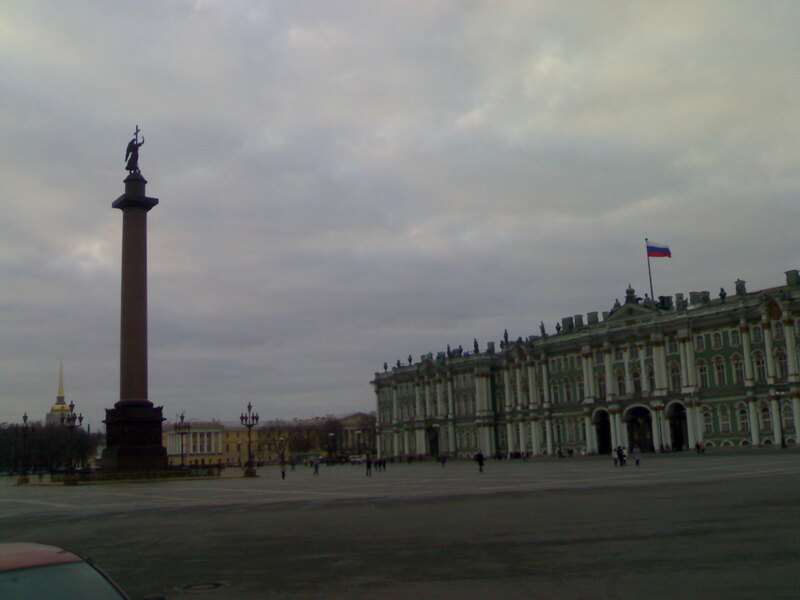 The number of setting is quite close to digital cameraи, and only Sony Ericsson S700 and K750 show a similar example. The Flash can work automatically or in anti-red-eye mode, or you can just turn it on or off. The maker claims an effective flash distance of 1.5 m. And we got the best results in the distance of 1 meter. Coming closer we had the frame overlit. In general the flash is too weak for the CMOS matrix capabilities; the latter provides better photos in poor light than a digital camera. 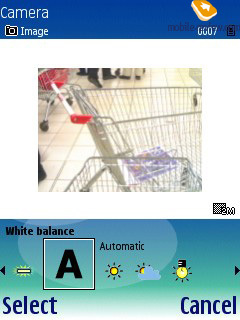 White balance is defined automatically by default. 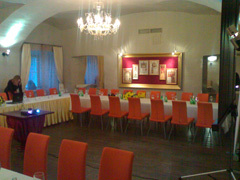 Several modes are also available - Sunny, Cloudy, Incandescent, Fluorescent, Tungsten. A real plus of the interface is the image is partly seen, and you watch the changing image in the viewfinder depending on the selected mode. Exposure value is set from -2 to +2, the step forms 0.1. And all changes are also instantly shown in the viewfinder window. 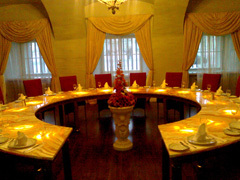 Colour Tone - the colour mode is not numerous, besides usual colours you can have black and white, Negative, and Sepia. However we see no use in these effects due to post editing capabilities. 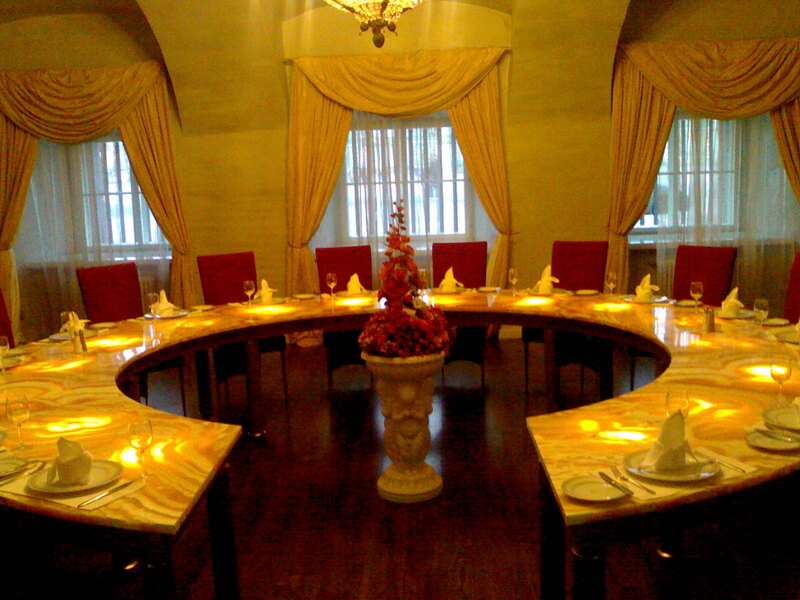 Select a photo resolution 1600x1200 pixels, 640x480 and 240x180 pixels. A sonorous name of Print was given to the highest. Shooting mode - usual, series, timer. 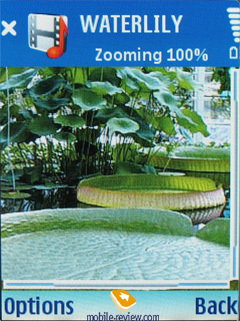 You can activate x20 digital zoom by moving the joystick while shooting. We see no sense in using zoom, as you can use an integrated editor to enlarge the photo even in a view mode, and the quality will be higher. 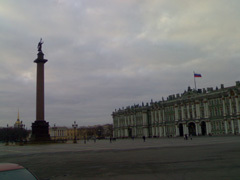 You should estimate the photo quality in various conditions by yourself, the only thing I can say it is on the level of Nokia N70 and shows no evident changes. That is more than average for such devices. 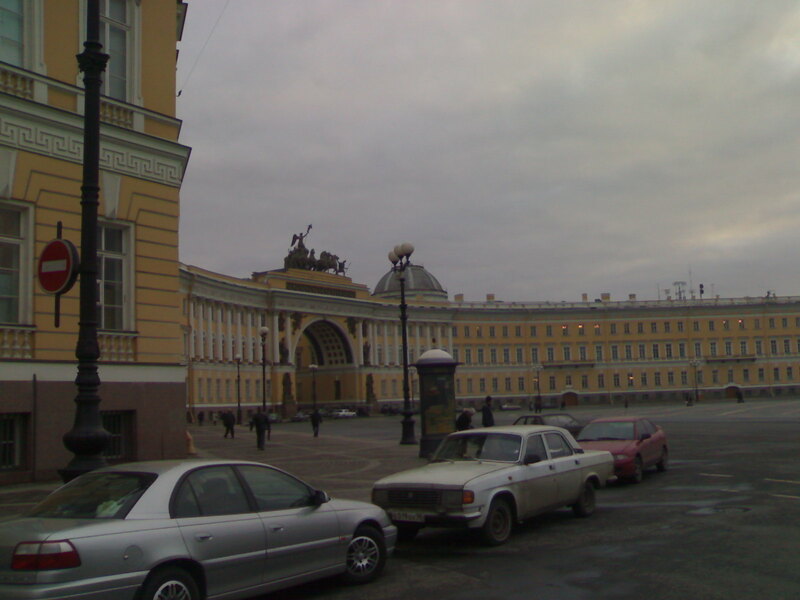 Video is recorded as mpeg4 and a record is limited in duration only by free memory. You can switch sound recording off, select such resolutions as 352x288, 176x144, 128x96 pixels (15 fps in all cases). 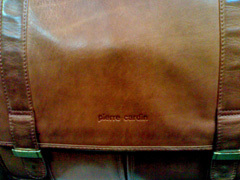 Image quality is quite acceptable and means no surprises. Bluetooth version is 1.2 which means more devices connected without troubles, better support of car speakerphones (transfers both a phonebook and a call list without a trouble). And a short passage about voice dialing and control, which is independent of the speaker's voice (like in the N90), a new open source browser, and a capability to work with external GPS receiver, some improvements for functions. 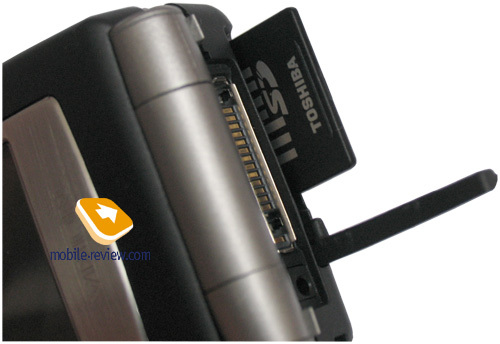 Read the review of S60 3d Edition to known the strengths of the device. The model shows no problems with connection. The interlocutor's voice is heard well, and yours also. The volume of the 64-tones polyphonic call is high, and if setting MP3 melodies, the polyphony quality plays the minor role. The power of the vibra is lower than average, and the signal can be missed. A great plus of the model is it is one of the first based on a renewed platform (S60 3d Edition) and provides all corresponding software advantages. 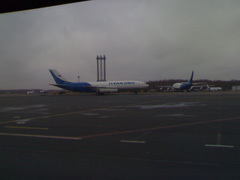 The camera is quite comparable with Nokia N70 and has no advantages. 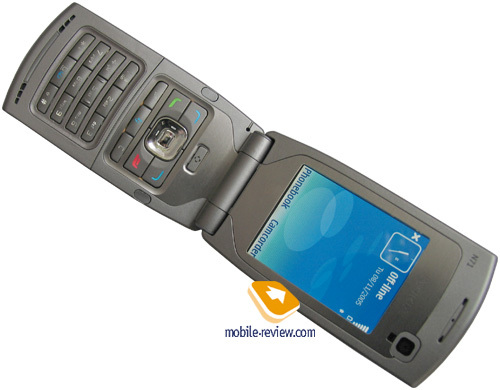 In general, the handset is not positioned as a fashion phone; it is one of the first working horses of the N-series in this form-factor (like the N70). This model is not a good solution for ones who desire to distinguish with a product by a famous trade mark and show off with a new expensive phone. It is not as good as the N80 for worshipers of technical excess both considering the screen and the camera. 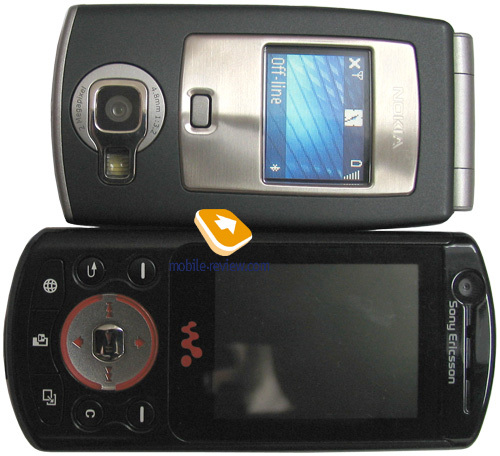 The model is a compromise between Nokia N70 and Nokia N80 in another form-factor, which will also attract audience. You shouldn't expect this model to become a bestseller, it will have sure moderate sale, and the company counts on it (bestsellers are models with the last digit of the index equal to 0 or 5, for instance, the N95). 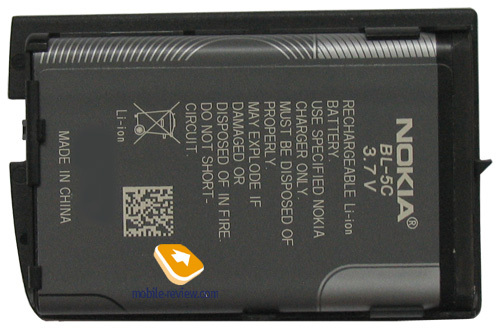 Nokia N71 will appear on the market in March 2006 for about 400 Euros (in Russia it will cost about 600-650 USD).